9 - Toggle boost / cruise. BlueSteel must be flown manually. near the ground (airburst detonation). 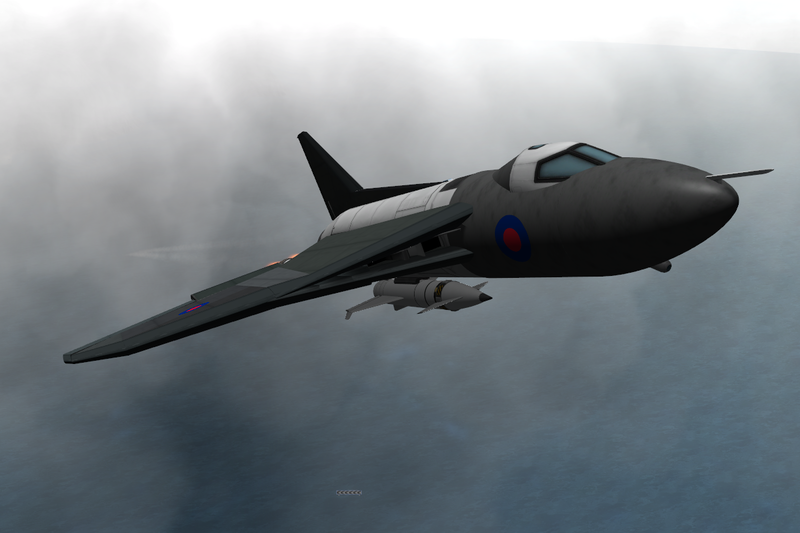 Summary: Strategic nuclear bomber developed from the Vulcan B1. Electronic countermeasures mounted in longer tail. Phase 2 kinked wing. Terrain-following radar and radar warning receiver. Carrying Blue Steel nuclear standoff missile. 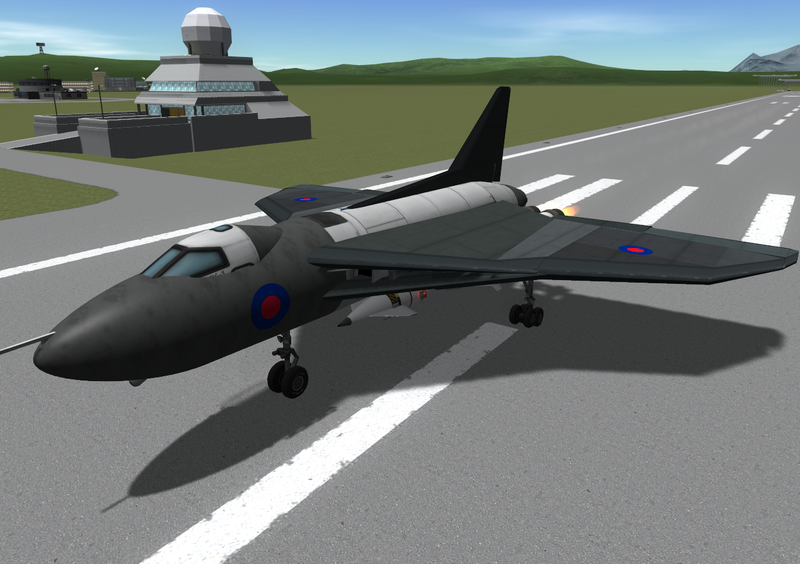 Officially the second version of Britain’s revolutionary flying wing nuclear bomber (itself the second of the three nuclear bombers - Vickers Valiant, Avro Vulcan and Handley-Page Victor which made up the V-Force), the B2 version entered service in 1960, and came with more advanced systems, a larger and stronger wing with more complex shape, and an altered role. 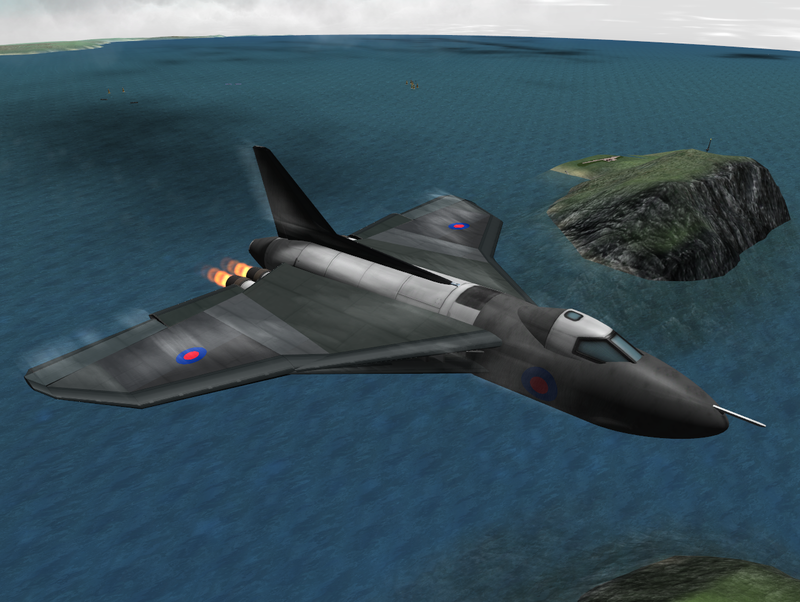 The original shape Vulcan B1 nuclear bomber (link to model), and Phase-2 kinked wing Vulcan B1 nuclear bomber (link to model) preceded it. Following the Gary Powers incident which demonstrated the capabilities of Soviet surface-to-air missiles, the V-Force switched to a low-level flying strategy, re-painted with grey/green camouflage, dark roundels, and fitted with Blue Steel nuclear stand-off missiles. This model itself carries a model of the Blue Steel nuclear missile, designed to be launched from the plane at high speed, accelerate under power of its onboard rocket engines to Mach 3, and manoeuvre toward its target, and then detonate above-ground as an air-burst. 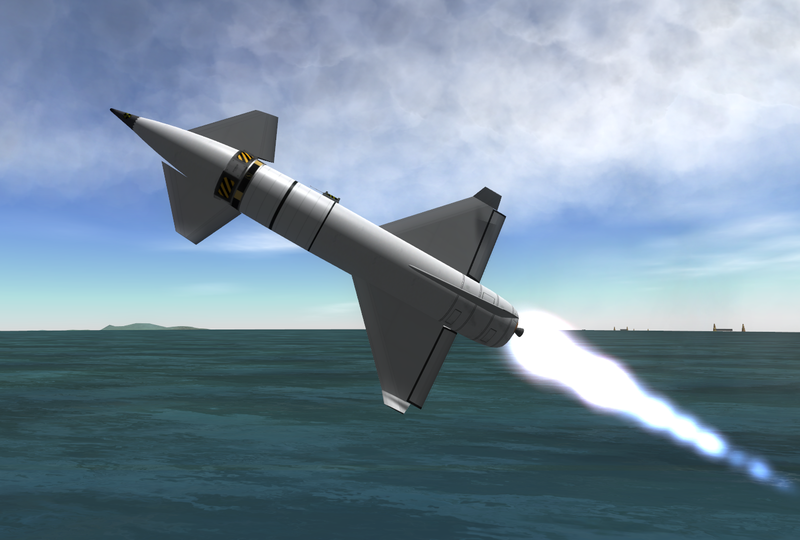 The Blue Steel model has its issues - it needs to be flown manually and is currently barely controllable. Anyone who has any success perfecting this please do let me know! 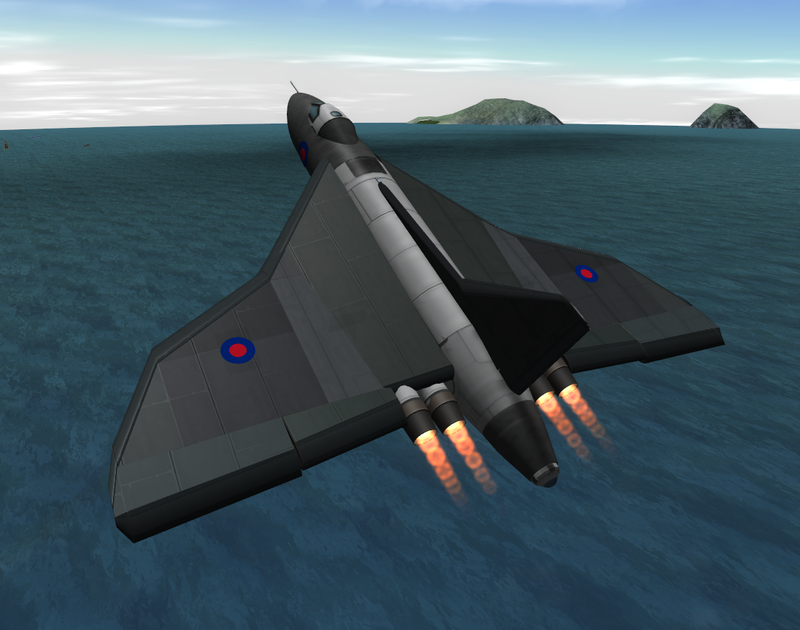 A mod aircraft called Avro Vulcan B2 -BlueSteel. Built with 114 of the finest parts, its root part is mk3FuselageLF.25.